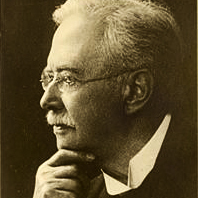 The foundation Stichting Hoogewerff-Fonds was set up in 1917 by Prof.dr. S. Hoogewerff, who at the time was one of the professors at the Technische Hogeschool, the Institute of Technology in Delft. The activities of Stichting Hoogewerff-Fonds lie in the field of chemical engineering in the Netherlands. The foundation stimulates and rewards scientific research and education in this field in the broadest sense of the word. Moreover, it stimulates activities aimed at knowledge valorisation, industrial innovation, and new activities in the field. 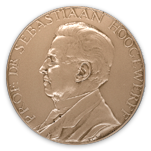 The Hoogewerff Gouden Medaille, a gold medal that is presented to a renowned candidate who has exceptionally distinguished him- or herself in the field of chemical engineering. The award is regarded as an important recognition of the candidate’s entire lifework. The Hoogewerff Jongerenprijs, an award consisting of a silver medal and a cheque of 5,000 euros, which are presented to a promising researcher under 40. The Hoogewerff Stimuleringsprijs, an award granted to promising young talent, which can be a group or an individual, that stands out through the realisation of industrial innovation or a new business activity in chemical engineering at one of the Dutch universities. The award is given as an important incentive for further initiatives in this field. 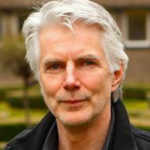 As of 2007, the Hoogewerff Lecture is presented by a prominent candidate from industry or academia at the Netherlands’ Process Technology Symposium (NPS). Furthermore, the foundation finances an endowed chair at the Eindhoven University of Technology. In addition, it financially supports educational events organized by the student associations that are active within the departments of chemical engineering at the Dutch universities. 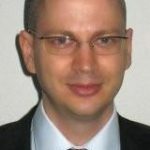 The members of the Board of Stichting Hoogewerff-Fonds are active in various fields, including the business community, technological institutions, the Royal Institution of Engineers in the Netherlands KIVI NIRIA, the Royal Netherlands Academy of Arts and Sciences KNAW, and the domain of academic research and education in chemical engineering.  De bereiding van anthranilzuur volgens de nieuwe methode uit phtaalmide, gepubliceerd als ‘De l’action des hypochlorites et des hypobromites alcalins sur quelques imides et sur la phtaldiamide’ ( ibidem, 10 (1891) 4-12), bleek van grote betekenis, omdat dit toentertijd het uitgangspunt was voor de bereiding van indigo. Het Bestuur van de Stichting Hoogewerff- Fonds heeft de Hoogewerff Gouden Medaille 2017 toegekend aan prof. dr. Freek Kapteijn, hoogleraar aan de Technische Universiteit Delft. Met de toekenning van de Gouden Medaille aan Freek Kapteijn wil het bestuur van de Stichting Hoogewerff-Fonds haar grote waardering uitspreken voor de bijdrage van Freek Kapteijn aan de ontwikkeling van de chemische technologie. Freek heeft een belangrijke bijdrage geleverd aan het integreren van katalyse en reactorontwerp. De Stichting Hoogewerff-Fonds heeft de Hoogewerff Jongerenprijs 2013 toegekend aan dr.ir. A.A. (Tony) Kiss (38) van AkzoNobel. Dr.ir. Tony Kiss heeft belangrijk onderzoek gedaan aan verbetering van destillatieprocessen en ontwikkeling van innovatieve en duurzame scheidingsprocessen. Hij combineert een grote mate van creativiteit met een uitstekend theoretisch inzicht en een grote gedrevenheid voor een wetenschappelijke aanpak van technologische problemen. De Hoogewerff Stimuleringsprijs 2014 is toegekend aan dr.ir. Kirsten Steinbusch voor baanbrekend werk betreffende de omzetting van bio-afval in waardevolle bouwstenen voor de chemische industrie. 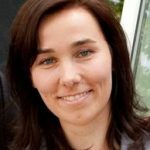 Tijdens haar promotiewerk aan de Universiteit Wageningen heeft zij onderzoek verricht aan de microbiële verwerking van organisch afval (agrarisch, GFT). Bij dit onderzoek heeft zij een belangrijke nieuwe vinding gedaan, die het mogelijk maakt om – in plaats van bio-gas – hoogwaardige chemische grondstoffen te maken uit dit organisch afval.